Kyle Pietari’s version of an annual family vacation is likely a bit different than yours. He’ll pack the family in a minivan, go out to a few restaurants and catch up with friends, but he’ll also complete a 100-mile race through the unforgiving mountains of California. 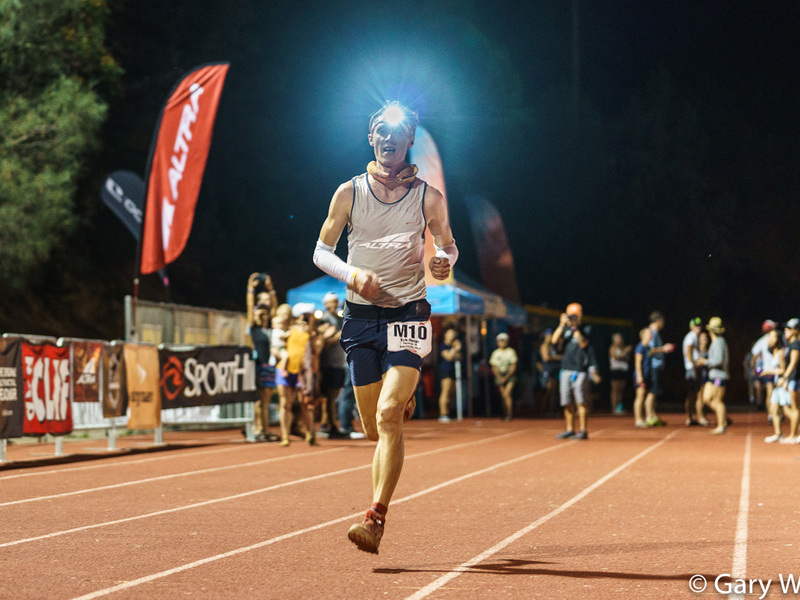 For the third year, Pietari and his family drove from Denver to California so he could race his third Western States 100-Mile Endurance Run , one of the most prestigious distance races in the world. Running 100 miles is a feat of its own, but Pietari, who calls Edgewater home, wanted more than to just finish. He aimed to place in the top 10 among the 369 admitted runners. “I keep finding that I’m getting more capable each year I do this and that trends has to end eventually but until it does, I’m going to keep seeing what I’m capable of,” he said. Pietari, 31, competed in Western States in 2016, placing eighth overall after getting lost, and again in 2017, placing 10th despite spraining his ankle before mile seven. At the start line in Squaw Valley, California Saturday morning, Pietari stood next to fierce competition. But he felt relaxed, he said, because he was fitter than he’d ever been and after three years, felt that he knew the course. Somewhere behind him on the start line was Mike Wilkinson, 46, also from Colorado. It was the Parker resident's first time running Western States, but his fifth 100-miler, so the distance territory wasn’t exactly new. He’d entered the lottery to get into the race and was placed 25th on the waiting list. The weeks ticked by with no updates. But a few days before the race, he got the call — he was in. Lucky for Wilkinson, he had been training and preparing to go anyway. He planned to help the crew for Coloradoan Courtney Dauwalter , who ended up winning the women’s race in the second fastest female time on record. She is a personal friend, he said, and he’d already made arrangements to stay in the area. He struggled to describe the feeling of standing on the start line after so many years of entering the lottery. “Saturday morning, being out there at the start, it was just kind of surreal,” he said. “I’m standing there and I’m thankful to be there." About 5,000 people tried to get into the race, he said. Only 369 were allowed to run. At 5 a.m., the runners took off. The Western States 100-Mile Endurance Run is the world's oldest 100-mile trail race. It starts in Squaw Valley, California and runs 100.2 miles to Auburn, California. It’s come to represent one of the ultimate endurance tests in the world, according to its website . Runners climb more than 18,000 feet and descend almost 23,000 feet over the course. More than 1,500 volunteers dedicate the day to helping the runners move from aid station to aid station, and eventually to the finish line on the track of Placer High School. Pietari got lost early in the race. It cost him a few minutes, he said, but he found his way back and hit the dirt more determined than ever. The trails in Western States don’t differ much from what he trained on just outside of Denver, he said. “The trails near Golden and the ones closest to Denver are the best trails in Colorado for preparing for Western States, specifically,” he said. While his feet knew how to navigate the terrain, his stomach wasn’t having it Saturday, he said. At mile 55 and again at mile 78, the heat got to him and he started “puking like crazy,” he said. But he considers that a highlight. For whatever reason, after he was sick, he felt immensely better, he said, laughing. Wilkinson experienced similar symptoms from the heat of the day. He remembers hearing that the temperature had reached above 100 degrees on the course. By the time he got to Michigan Bluff at mile 55 — the same spot as Pietari — he had hit his lowest point. He couldn’t keep food down and was shivering. “It switched from being a race to being an exercise of survival and getting to the finish line,” he said. The primary goal of any ultramarathon is to finish, Wilkinson said, but he hoped to get under the 24-hour mark. By this point in the race though, he started to reassess his goals. But he wasn’t concerned about dropping out. He was more worried about the medical staff pulling him out of the race, he said, so he tried to hide from them at aid stations. But they helped him while he rested and after recovering, gave him their blessing to continue the race. After some time off his feet, he darted back onto the course, determined to reach the finish line. While he can’t verify it, Pietari said one of his pacers clocked him running at 4:10-per-mile pace downhill to the finish line. “It was an all-out sprint,” he said. He’d already ran a blazing six miles as he competed with another runner for sixth place. He secured the sixth place position by 20 seconds, finishing the 100-miler in 16:54:23. A few hours later, as Wilkinson rounded the track to the finish line, just 200 meters away, he felt overcome with emotion, he said. Believe it or not, both Pietari and Wilkinson said any runner can complete a 100-mile race. He cited how the average American watches about five hours of television a day — way more than the time needed for a good run, he said. What runners should prepare for is the emotional rollercoaster, Wilkinson said. Both men hope to return to the grueling course next year.